Henry and Sam Miller-Greene are living the dream. They love their careers - which afford each of them opportunities to travel to exotic locations - they love their home, Sam's caring family, and each other. They disagree on the subject of adoption, but are fully committed to each other in marriage ...'til death do us part. The dream is shattered when Henry's plane crashes and he's presumed dead. But four people - Henry, two other men, and a child - survive undetected on a remote, small, and insignificant island. Will Sam and Henry's love be able to survive as well? Henry and Sam Miller-Greene are enjoying life in the summer after Henry's rescue from a small South Pacific island, where Henry and three others were marooned for five years. Henry and Sam thought adopting Aiden - the child with whom Henry had been stranded - would be smooth sailing. Matters are complicated by the public nature of their rescue that has turned the survivors into overnight celebrities. Anti-gay-fueled animus rears its ugly head in the blogosphere, causing concerns over the impact libelous rumors might have on Aiden. 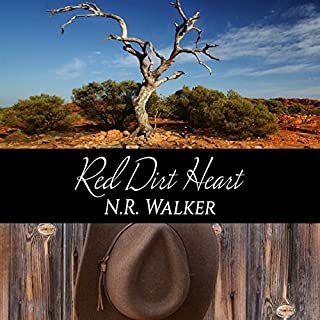 With their nightmare separation behind them, Henry and Sam are anxious to renew both the intensity of their former intimacies - now hampered by having a curious and still apprehensive child sharing their home - and their commitment to one another. Will they be able to move their love forward now that they are together again? I would have preferred this to have been included as part of ’Til Death Do Us Part rather than as a separate novella. It was okay, and the reader gets some more time with Sam and Henry, but...this was really just a kind of sweet epilogue to 'Til Death Do Us Part. David Gilmore narrates the audio much the same in this installment with character voices that are easily discernible, good timing, and clear enunciation. Note: this should not be read as a standalone. It should definitely by read after book 1. I really liked getting to hear more on Sam, Henry and Aiden/Buddy's life after the island once they are settled. I was a little confused as to who the totally random dude was, that was trying to cause issues and get custody of Aiden. I would have liked there to be more on that part of the story. But overall I think this was a short, cute addition to the series. Again, the same a book one. I think the narrator did good on the character voices, but again there were a few times it sounded a little muffled like he was adjusting the microphone?? I'm not sure what is going on with that? But it didn't take anything away from the story itself. Not sure why this was separate. This is the same narrator as book 1…not my favorite but I’m super picky. This was a nice addition to the story but it should have been just added to the first book. I’m not sure if it was an afterthought or it was planned to be separate. We see more of Henry and Sam with Aiden and get resolution on one of the questions I had from book 1 but not every question I was left with. If you read/listen to book 1, you’ll want to read/listen to this one. This book continues where the first one left off with Henry and Sam still trying to adjust to each other, and both men making a life for Buddy/Aiden. This story cannot be read as a standalone. For me, I think this novella had too much recreating and retelling what happened in the first book and not enough about their lives now. I felt like if all the information retelling the story from the first book was taken out, what was left could have just been an epilogue at the end of the first book. The narrator is David Gilmore and he did a fantastic job bringing this story to life! He had an easy to listen to voice, kept a good pace, expressed appropriate emotions. There were no weird pauses in his narration, which is important when listening to an audiobook (in my opinion). The narrator gave characters individual voices which made it easy to listen to, he wasn't just reading a story. 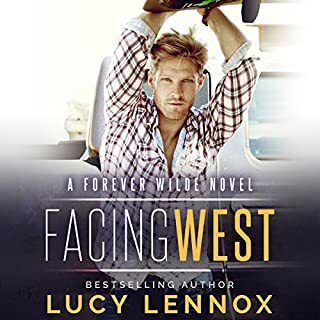 Though this wasn't what I had hoped in the follow up novella about Sam and Henry, we still got to see a little more of their lives and how Aiden is doing and that was nice. But, I still wished for more from this story. A nice extended epilogue for Sam, Henry &amp; Aiden! From This Day Forward is a nice follow up to 'Til Death Do Us Part, and it was nice to get more closure for Sam and Henry--and Aiden as well. Aiden kind of stole the spotlight for me in this story! This is a very quick read, yet lets us see how the three of them are getting on with their lives, and particularly how Aiden is adjusting. There is some drama that crops up thanks to those narrow-minded, bigoted people in the world, and it throws a bit of stress into the mix. But what this story really is for readers is a nice extended epilogue to give this sweet family resolution to the nightmare they endured in book one. This book gets 4-stars from me, and also an 18+ reader reminder as well for some language and sexual content. The narration: I thought David Gilmore actually did a better job with this second Vows story, making the character voices more distinct. This let me enjoy the story more this time around. Again the pacing was even and the narration flowed well, so 4 stars for the narration. I enjoyed this follow up novella so much more than the original story. Though there were still a few places where I was less than into the story, I felt like the narrator did a better job - maybe it was because this entire story was told in first person POV from Henry's perspective. I still liked Buddy (Aiden) best of all. I think this book was the perfect conclusion for this story!